In 'Cager Clash,' the cager star hopes to turn Filipinos' love for manga and basketball into a social media phenomenon. It happens at least once a month: Fully grown adults dressed in elaborate costumes flock to either the SMX Convention Center in Pasay City or the Mega Trade Hall in Pasig City, drawing looks from mall-goers as they stroll by. They're not attending a party or participating in a contest; they are merely showcasing their love for their favorite anime characters. Cosplay, a portmanteau of costume and playing, is a practice popularized by anime fans in Japan that has since reached fans across the globe. In the Philippines alone, the sheer number of cosplay events scheduled for the rest of the year is a testament to how much Filipinos love anime. Kids who grew up in the '90s know anime well. Long before iPads were considered toys and YouTube aired TV shows, boys got their dose of entertainment from television, and almost always an anime show was airing when they got home from school. To this day, Filipinos’ love for anime remains, and has become even more apparent, what with the myriad of ways kids and the young at heart can get their fix of the Japanese cartoons. According to the Association of Japanese animation, the Philippines is the second top country with the most licensing contracts with animation studios in Japan as of 2016, as local channels air and dub these shows in Filipino. The Internet has also democratized access to mangas as Japanese comics and shows can now be streamed online for free (albeit illegally). The popularity of anime in the Philippines is what drew Tokyo-based digital publisher Everyst to create a manga that Filipinos can call their own. Created in collaboration with Gilas Pilipinas and Rain or Shine shooting guard Gabe Norwood, Cager Clash tells the story of the star basketball player trapped in a fantastical realm of supernatural creatures and basketball. 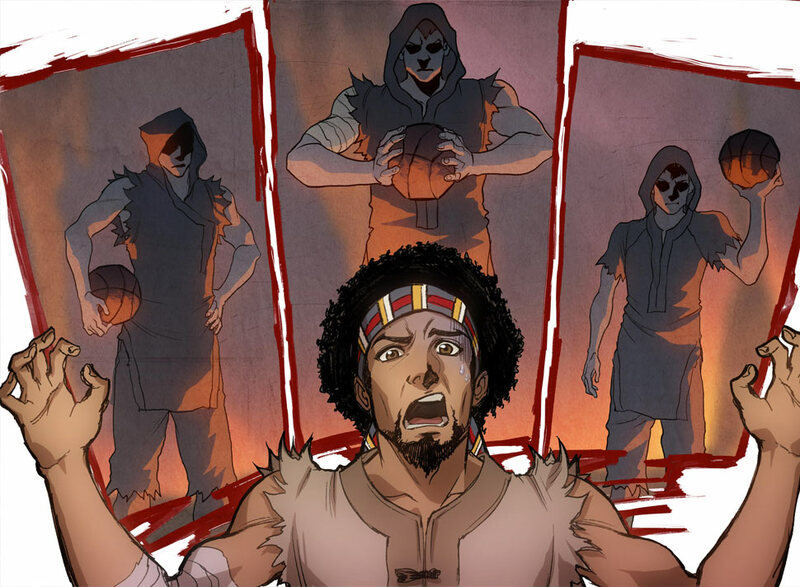 In Cager Clash, Gabe Norwood has to play basketball with supernatural creatures to get back home. “Cager Clash is a combination of elements from basketball and Philippine and anime cultures, with some action and comedy. 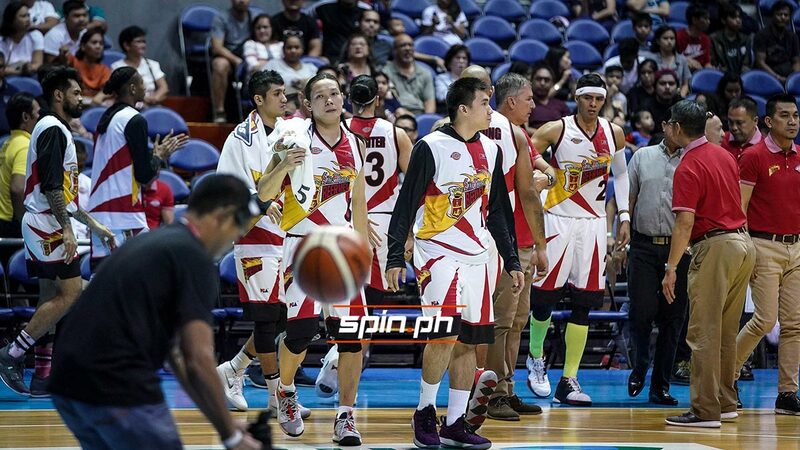 In a basketball-loving country, and one of the most active social media countries, I think this will be an enjoyable experience for anyone,” Norwood shared with Esquire Philippines. 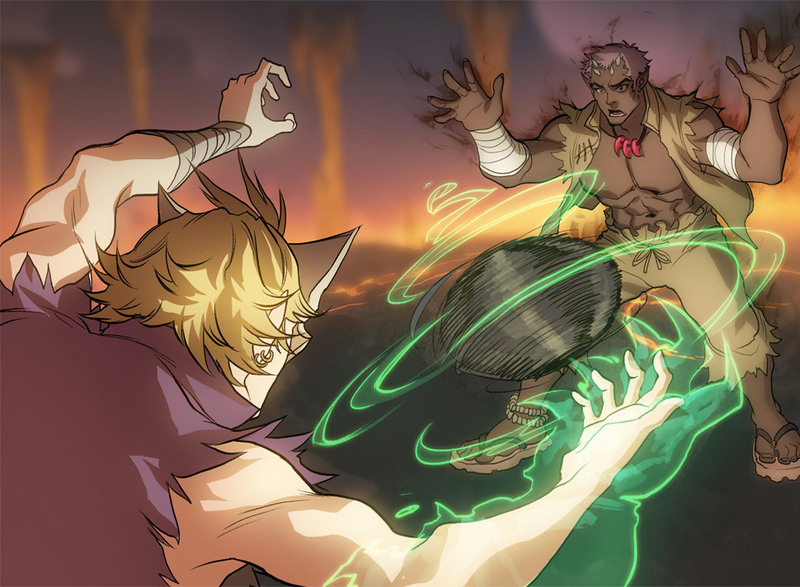 The first chapter details how Norwood was pulled into the supernatural world of Cager Clash, where players fight, quite literally, to win the top prize. It also shows that basketball isn’t just played in the four quarters of the universe, so Norwood gets help from a fairy called Fae, who tells him the only way to get out of the fantasy realm is by winning the entire tournament. The story seems simple, but Everyst founder Ben Watanabe said, like other mangas and comics, twists and new characters will be introduced as new chapters are added. 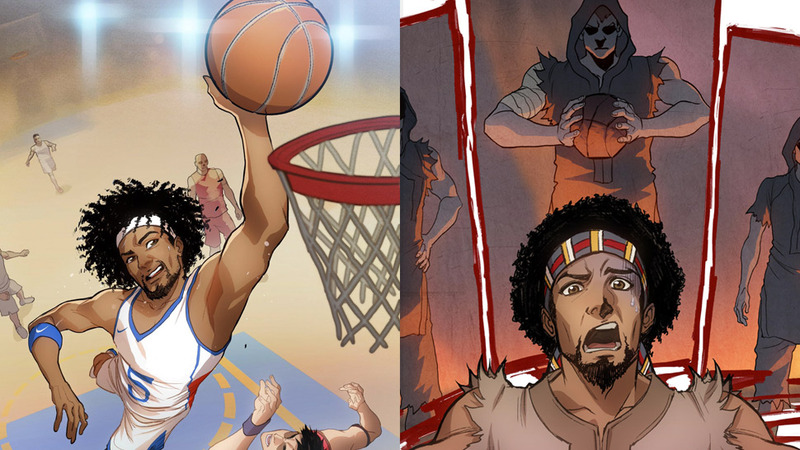 The digital manga takes inspiration from the pop culture classics most basketball fans still love to this day, like Space Jam and Slam Dunk. "It all may sound just a little bit too crazy, but like Space Jam we’re not taking it too seriously! Expect a little comedy and Kung Fu movie parody points in there, too,” Watanabe said. Cager Clash takes inspiration from movies like Space Jam and iconic video games like Mortal Kombat. Aside from Watanabe and Norwood, Everyst editor in chief Hengtee Lim and sports writer Rafe Bartholomew are also part of the creative team that brings Cager Clash to life. Elmer Santos, a Filipino comic colorist who has worked with DC Comics and Valiant Entertainment, is also part of the team. But unlike typical mangas that can be read either through a website or through printed copies, Cager Clash hopes to become a more personal reading experience for its fans. The manga is published on Twitter and Instagram, as the story’s main protagonist @CagerGabe shares his most recent adventures through his own social media accounts. It’s an ingenious way of storytelling in the 21st century, especially when people spend most of their waking moments with their smartphones. And for a country whose population spends 10 hours online every day, it looks like Cager Clash has found the best audience for its content.